A few simple considerations can help you and your family live safely in mountain lion country. From supervising children to landscaping wisely, there are many steps you can take to live safely in cougar country. 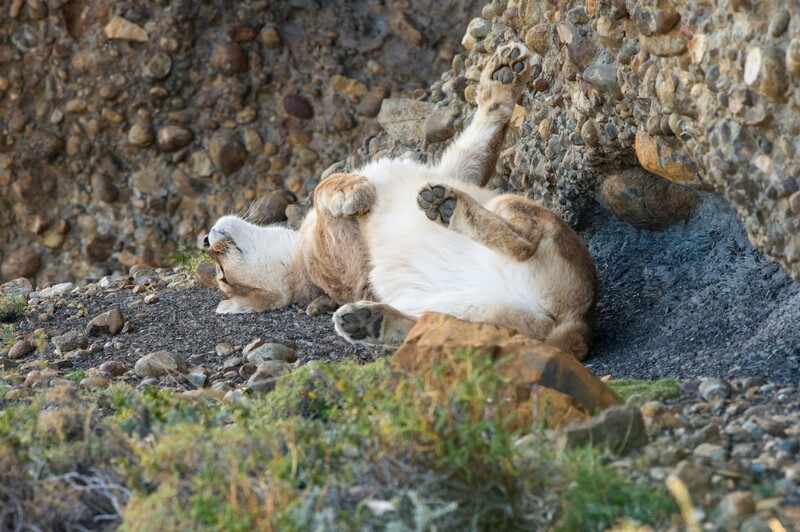 While many statistics reinforce how unlikely mountain lion attacks are, we recognize that some people live or recreate in habitat where encounters may be more likely. Fears can be eased with a better understanding of these environments. Be aware of your surroundings. Cougar’s on average have a range of 100 square miles; therefore, the chance of there being more than a few cougars in your area are slim. Contact your state game agency and learn about the wildlife in your area. Talk to your neighbors. Install outside lighting. Movement activated lights placed where you walk are particularly helpful. Supervise children, especially during dawn and dusk. Educate them about wildlife and how to behave if they encounter a cougar. Do they know who to call if they see a cougar? Landscape wisely, making sure it does not attract deer or other cougar prey; consider deer-proofing your yard and/or garden. Prune dense vegetation which cougars may use for cover. Do not feed wildlife so as to not attract cougar prey. In some places, bird seed will attract animals that cougars may prey upon. Remember, if you live in or near cougar country where there are deer, there could be a cougar. The winter months in northern climates can concentrate prey such as deer. Be alert when recreating in known prey winter ranges, particular where visibility may be restricted by vegetation. Keep pets secure. Roaming pets are easy prey. Do not leave their food outside as it may attract racoons. Again, cougars follow prey. Store all garbage securely. Protect, fence and shelter livestock. Place in enclosed sheds or barns at night. Know who to call if you see a cougar and understand their policy on treatment of cougars that have been documented in residential areas. Read the January 15, 2015 article, “Be rational when mountain lions come calling“ by The Acorn’s editorial board (The Acorn/www.theacorn.com).